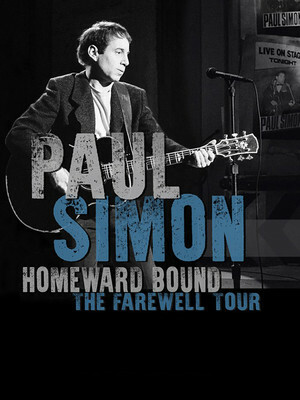 One of America's greatest songwriters in concert for the final time! One of modern music's true founding fathers, Simon found worldwide fame in the 1960s as one half of the folk duo Simon and Garfunkel. 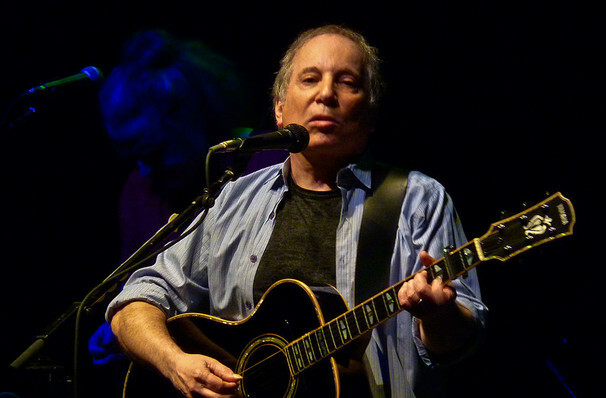 While his relationship with bandmate Art Garfunkel produced classic after classic, from 'The Sound of Silence' to 'Bridge over Troubled Water', it was also famously fraught, and it was only a matter of time before they went their separate ways. Simon's solo career presented him with a second wind in the 1980s when he became the de facto figurehead of the World music movement, collaborating with a host of African musicians on his iconic album Graceland. Having announced his retirement from touring in February 2018, catch Simon as he heads on his final dates on the road as part of his Homeward Bound tour. Sure to include some of his finest solo work including Graceland and Still Crazy After All These Years alongside deep cuts and hits from the Simon and Garfunkel years, this opportunity is a true treat for fans and the perfect way to bid him farewell as he moves onto to pastures new! Sound good to you? Share this page on social media and let your friends know about Paul Simon at PPG Paints Arena. Please note: The term PPG Paints Arena and/or Paul Simon as well as all associated graphics, logos, and/or other trademarks, tradenames or copyrights are the property of the PPG Paints Arena and/or Paul Simon and are used herein for factual descriptive purposes only. We are in no way associated with or authorized by the PPG Paints Arena and/or Paul Simon and neither that entity nor any of its affiliates have licensed or endorsed us to sell tickets, goods and or services in conjunction with their events.